Environ's vision has always been to make the best skin care in the world, through a philosophy of well researched, scientific skin care. Based in South Africa, environ products are effective, proven, cost-effective and inspired through teamwork. Environ skin care strives to ensure ingredient integrity, and keeping the meaningful promises they make to their consumers by offering the most effective skin care range that science permits. Based out of South Africa, Environ is only available in the US via authorized Environ Stockists. Some of the most popular Environ products are their AVST range, C-Quence range, Cosmetic Roll Kit, and other age management products. 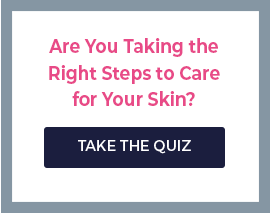 To get the proper skincare regimen for your skin type, it would be best to talk with one of our licensed estheticians for a personal consultation. Please note that you may not order Environ without first consulting with an Environ trained esthetician here at SkinCare by Alana, so please do not hesitate to give us a call! Skin care by Alana, located in Orange County, CA, is pleased to offer the full line of Environ skin care products. Environ products can be purchased with a personalized skin care consultation. We welcome you to call for a live consultation to speak with one of our estheticians during business hours. We are ready to listen to your skin care concerns and answer any questions you may have! Caution: Environ Skin Care USA does not allow discounting of any kind by their authorized retailers. If you see discounted Environ items for sale over the Internet or elsewhere, they are likely being misrepresented or sold without permission of the manufacturer. For environ skin care reviews and environ reviews please call to talk to our estheticians.